The youngster was born without arms and a deformed leg – but he's not letting that stop him! A six-year-old Bosnian boy who was born without arms and with a deformed foot recently won a gold medal at a regional swimming meet in Croatia. Ismail Zulfic used to be scared of going into the water after an incident with a splash pool. At first, he even refused to get into the water for regular therapy on his back, which he needed in order to be able to feed himself and write. But, all of that changed when he met Amel Kapo. Amel started the Spid Swimming Club in Sarajevo about a year ago after seeing how disabled kids struggled to swim in pools where there was no special equipment for them. Amel is the one who taught Ismail to swim. “After a few months of practice Ismail was able to dive in and swim the length of the Olympic sized pool without any help,” Amel says. A year later, Ismail is like a fish in the water. Swimming against kids almost twice his age, he won the 50-m backstroke in Zagreb, Croatia. “I like to win,” Ismail told Reuters, adding that he’s also won a skiing medal. At the swimming meet, which is a regional event, Amel’s club took home bags of medals – including five gold and two silver medals. 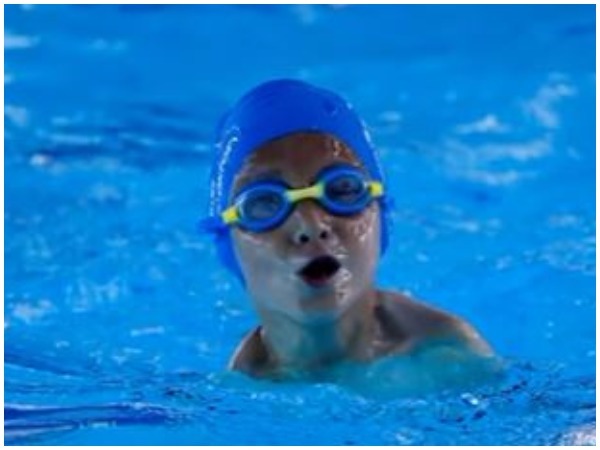 Twice a week, Ismail’s parents drive the 73 km from their home town of Zenica to his swimming lessons in Sarajevo. In Bosnia, success stories like Ismail’s aren’t common. Disabled children reportedly get very little support from the state. That’s why Amel’s swimming school is so unique.